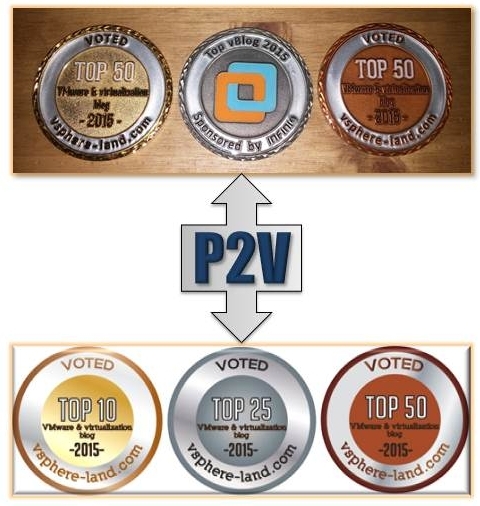 Introducing the Top vBlog 2015 Virtual Coin » Welcome to vSphere-land! The physical Top vBlog 2015 commemorative coins are being mailed out to the Top 50 winners this year. If you don’t have your coin yet you should in the next 1-2 weeks. I’ve had people ask about logos to display on their blogs so I’ve hired a graphic designer to P2V the coins for me. So available now is the official vCoin of Top vBlog 2015 so you can bling up your blog to show your readers how you ranked this year.